Opportunity to develop 32 Unit apartment bldg (inclusive of 3 affordable units) with alley access in rapidly developing South Echo Park. Unit mix: (12) 2bd/2ba, (5) 1bd/1ba, & (15) studios and 41 parking spaces. 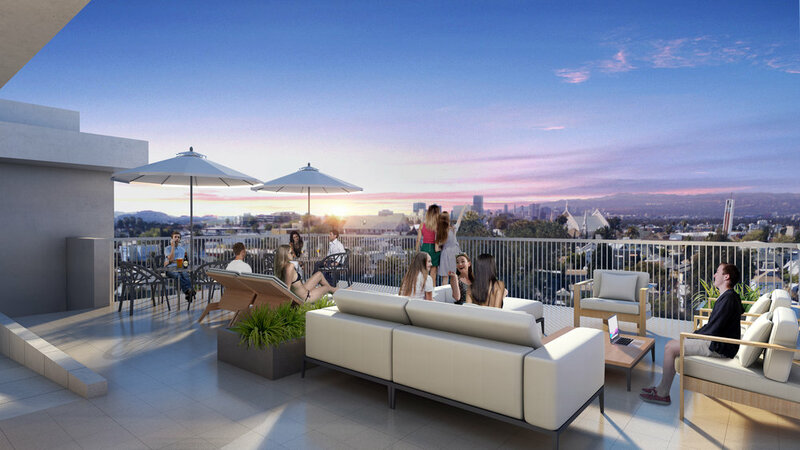 Each spacious unit has their own balcony with explosive panoramic views of DTLA skyline, Hollywood Sign, and the westside. Property amenities feat. controlled access entry, fitness room, 2-level garage & two common area viewing decks. Ideally located in the heart of Echo Park/Silver Lake area w/ convenient access to 101 & 110 freeways & close proximity to retail, shopping, restaurants & just minutes away from Downtown LA & the Dodger Stadium. SELLER WILL DELIVER PROJECT WITH LADBS PLAN CHECK APPROVALS. Buyers to verify all info and rely on their own investigation. Marketing package available upon request.